DUBAI (Reuters) - Uber Technologies Inc is set to offer over $3 billion to buy Dubai-based rival Careem Networks FZ, two sources familiar with the deal told Reuters, in a deal that will strengthen its operations in the Middle East. The deal, which a third source said could be unveiled during the early part of this week, comes ahead of Uber's planned initial public offering that may value the firm at $120 billion. 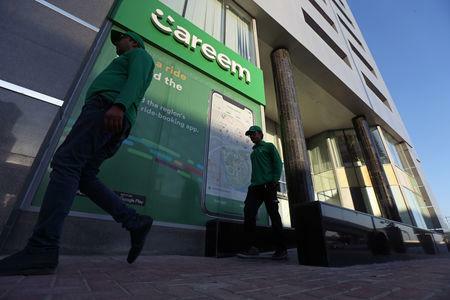 Careem, founded in 2012, has a larger presence in the Middle East, North Africa, Pakistan, and Turkey operating in 98 cities there compared to Uber's roughly 23 locations. "An Uber-Careem merger underscores the huge potential of car-hailing in the Middle East, but also the centrality of winning policy battles," said Sam Blatteis, CEO at The MENA Catalysts. 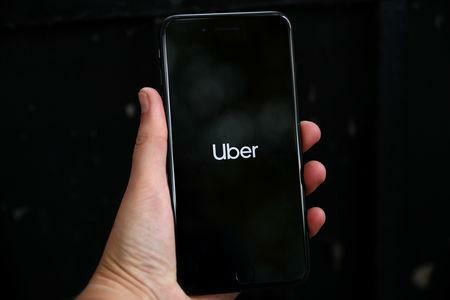 Uber will pay $1.4 billion in cash and $1.7 billion in convertible notes, which will be convertible into Uber shares at a price equal to $55 per share, Bloomberg https://bloom.bg/2OqVtpm had earlier reported, citing a term-sheet. Careem was estimated to be valued at $2 billion as of October. Uber has been seeking to expand as it faces global competition in its core ride-hailing business that operates across 70 countries. Rivlas include Lyft Inc.
Careem, which says it has 33 million registered users, was founded by Mudassir Sheikha and Magnus Olsson before being joined by Abdulla Elyas. Sheikha and Olsson worked together at McKinsey. Careem acquired delivery services company Enwani, co-founded by Elyas, in 2014. Careem's investors include German car maker Daimler and China's largest ride-hailing company DiDi Chuxing. It would be the second major acquisition of a Middle East technology company after Amazon bought Souq in 2017. Like Uber, Careem has expanded beyond its core ride-hailing business and last year launched a delivery service. It also offers digital payment services. Uber's business also includes bike and scooter rentals, freight hauling and food delivery. Careem does not disclose it financials.